BENGALURU, INDIA: With an aim to better service its large customer base in Europe and the US, iGATE has embarked on a software-defined journey. The company has deployed vCloud Suite and NSX to build a private cloud for its center of excellence (CoE) laboratory in Bengaluru. And helping the company in its endeavour is VMware, which has deployed its vCloud Suite which is enabling IGATE to deliver application environments on top of its existing infrastructure, and network virtualization product NSX. 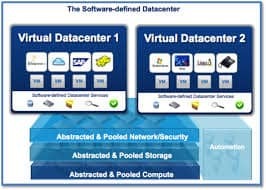 vCloud Suite is providing management, automation, and orchestration for the private cloud to help IGATE accelerate the delivery of new products and services to the market and provide an environment for customers to view proof of concept, as well as support software development lifecycles. NSX has helped IGATE to reduce time to access infrastructure resources from weeks to minutes, boost network security, and cut network admin costs by an estimated 35 percent. “Organizations such as IGATE are adopting the software-defined data center as the proven model for running agile, secure, and scalable data centers,” said Arun Parameswaran, Managing Director, VMware India. According to an IDC report commissioned by VMware, customers in India are expected to save an estimated $4 billion between 2014 and 2020 by adopting a software-defined approach to managing IT. These figures reflect operational costs associated with power consumption, cooling, real estate and server administration.